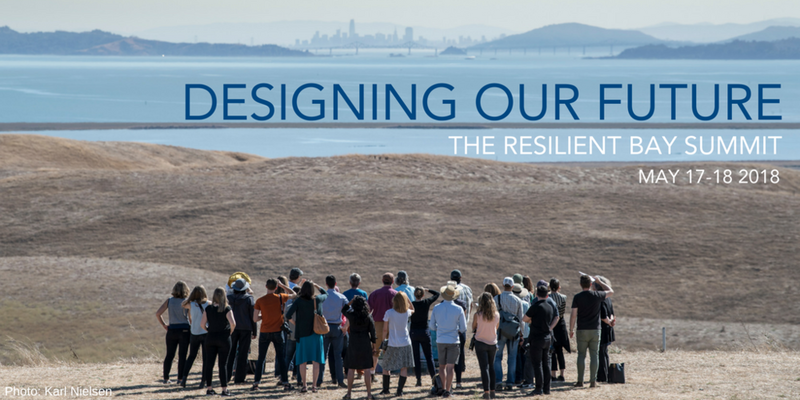 Throughout the Bay Area Challenge, proactive planning to safeguard our Bay Area community from the impacts of climate change presented an opportunity to reimagine our relationship with the natural world and with each other. As we invest in resilience, we must seek transformational change toward true, collective, long-term prosperity. The Resilient by Design | Bay Area Challenge brought together teams of scientists, community members, local elected leaders, financial specialists, youth leaders and some of the world’s leading designers to translate advances in research into specific, place-based solutions to flood risk and sea level rise. These innovative ideas address long-term threats, in addition to current challenges, including the essential infrastructure needs of communities on the frontline of sea level rise. The afternoon of May 18 was focused on exploring key takeaways and lessons-learned from the Resilient by Design process, and next steps for how we can collectively support and advance Resilient by Design ideas and resilience efforts more broadly, around the region. We spent the majority of the afternoon in World Cafe style group conversations, around the themes of Environment & Ecosystems, Social Resilience & Environmental Justice, and Infrastructure & Governance. Through our conversations, we explored key takeaways from the Resilient by Design process, and ideas, strategies, and best practices for advancing resilience efforts around the region. below are images created by our graphic recorder that captrued the themes that were discussed during the event.